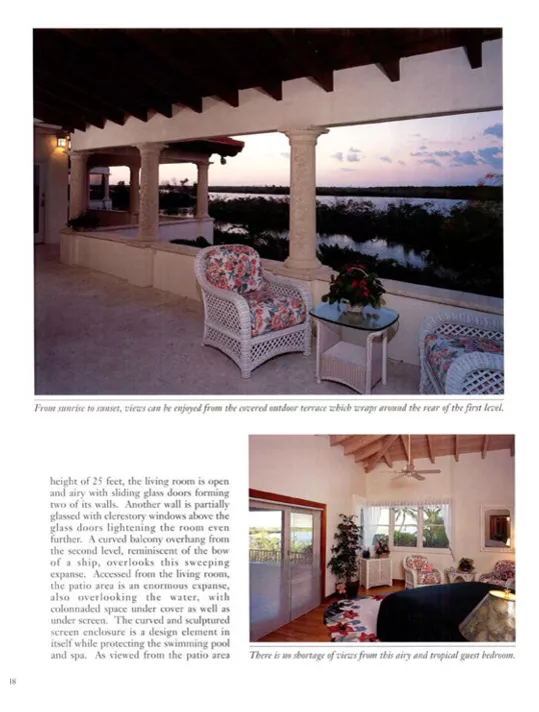 This Spanish Mediterranean home featured in “Open Home” Magazine exemplifies Robert Barnes subtle touch in expressing refined elegance with a Tropical Breeze. 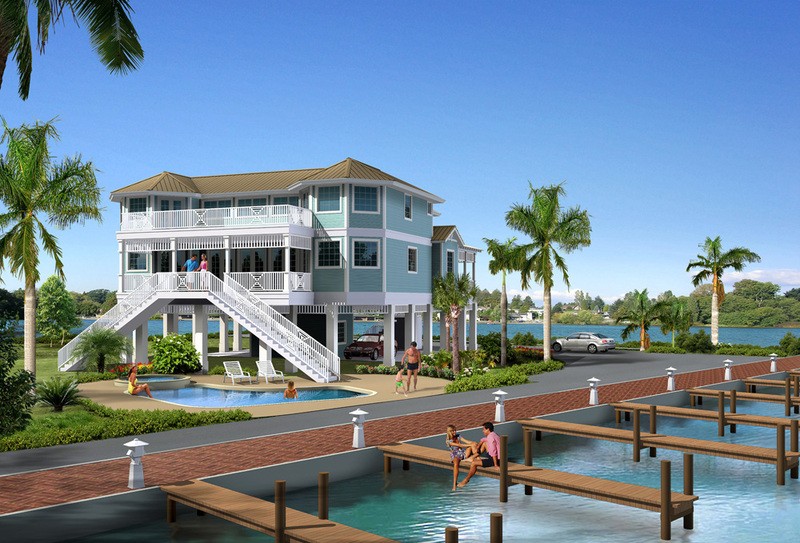 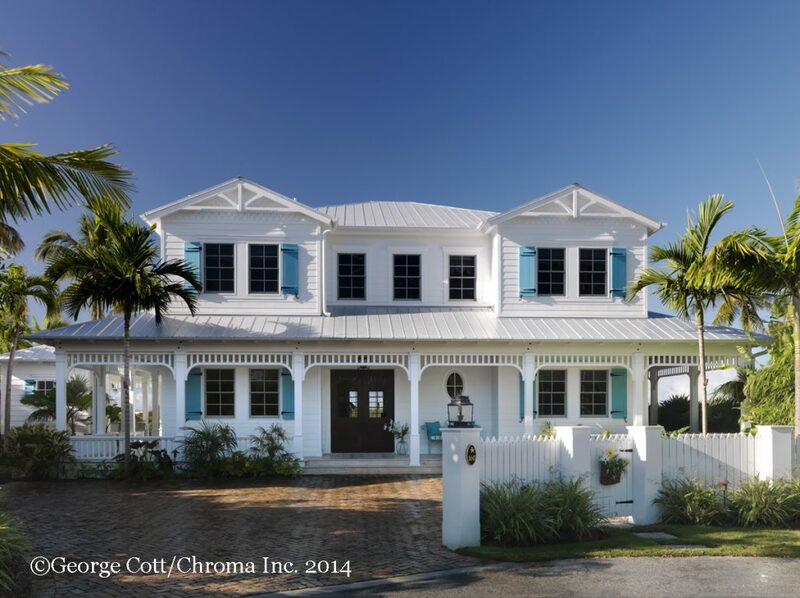 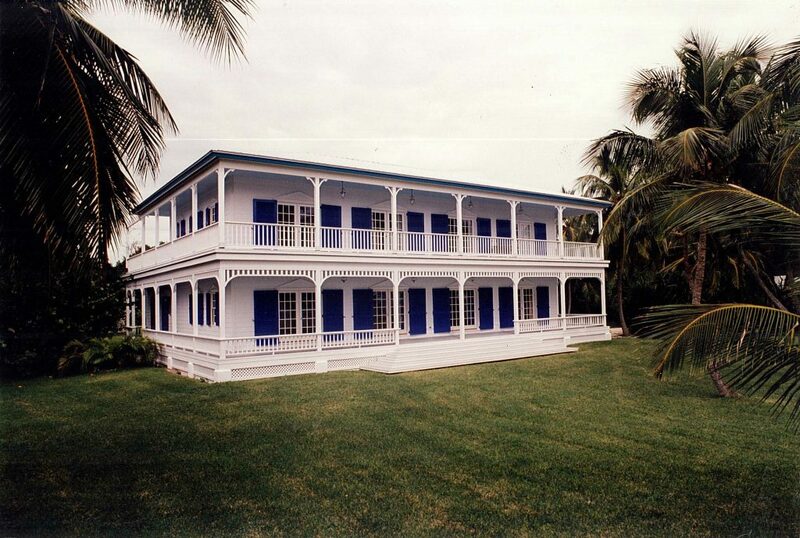 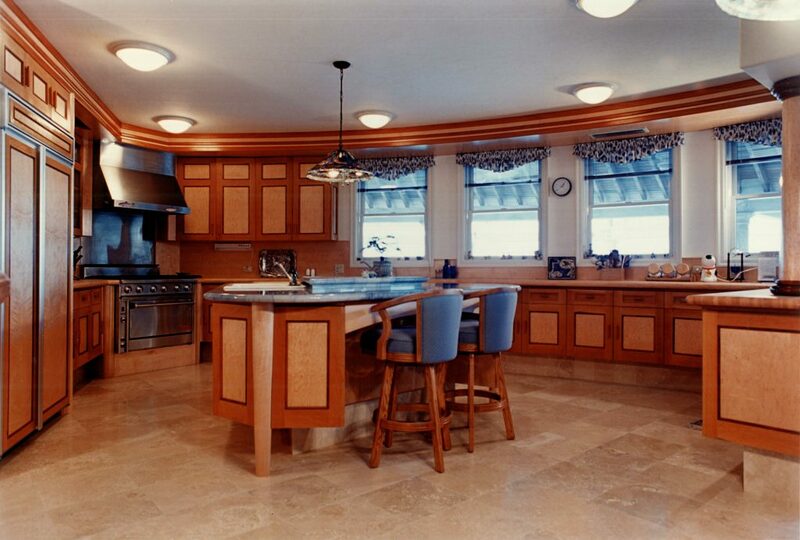 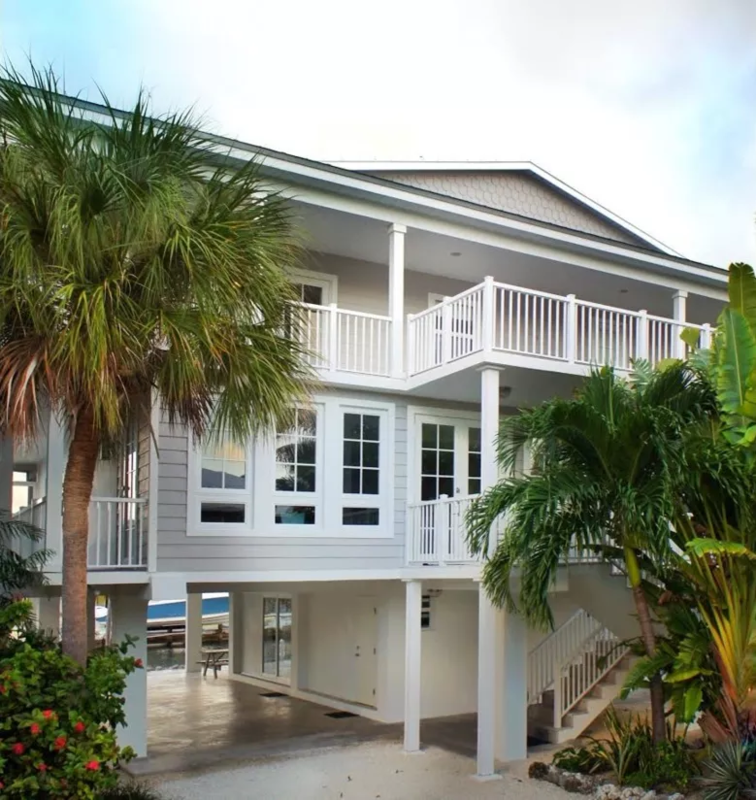 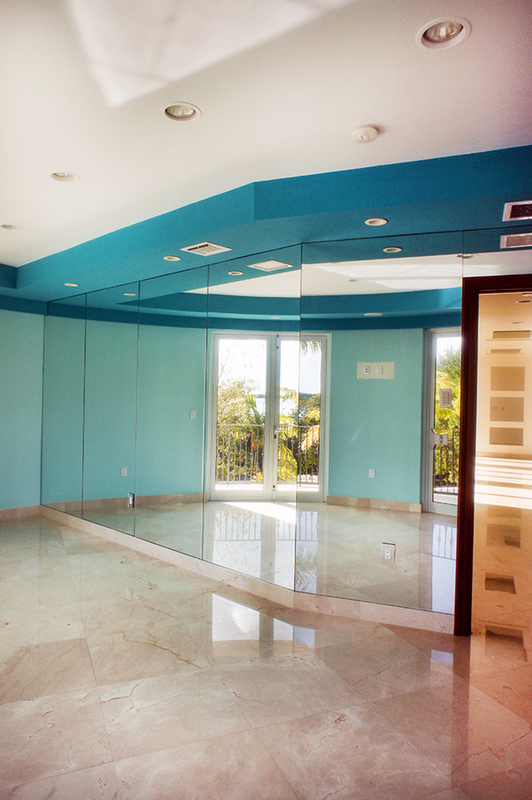 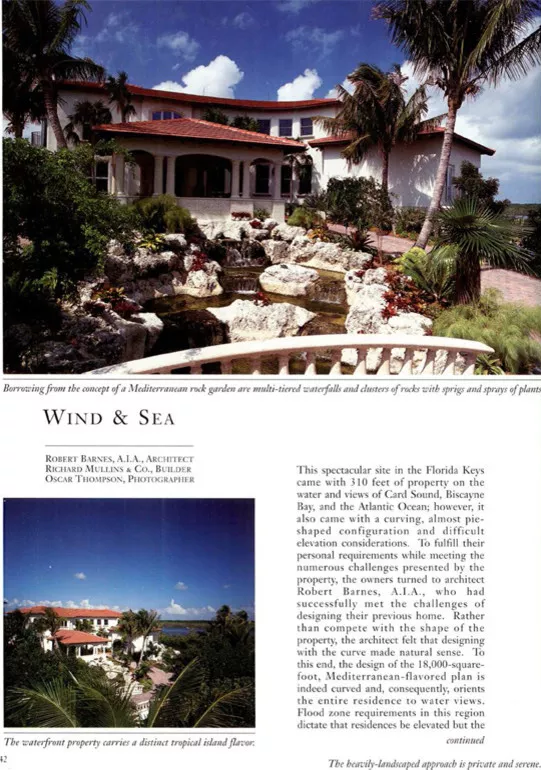 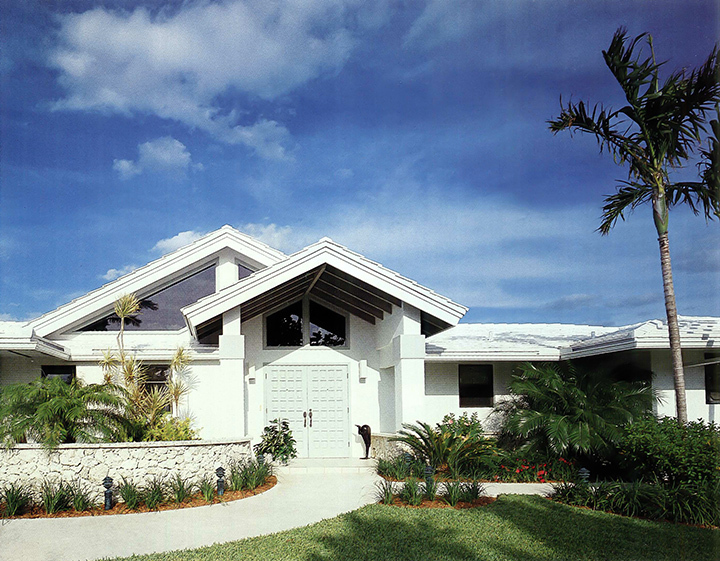 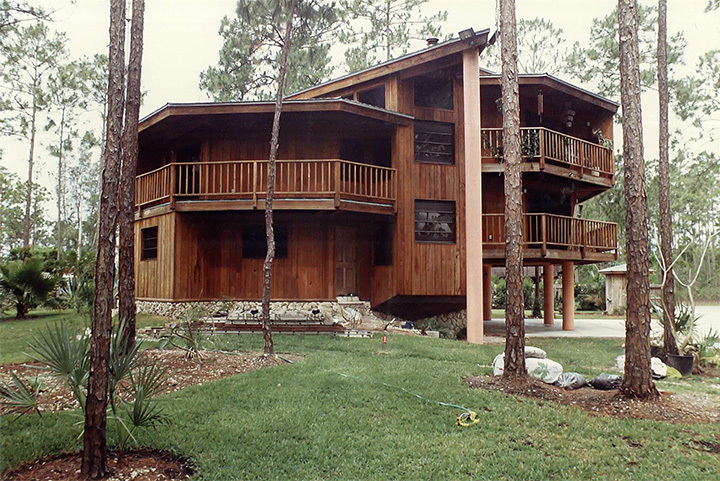 Native Key Largo hardwoods downed by Hurricane Andrew were incorporated creating a wealth of finish. 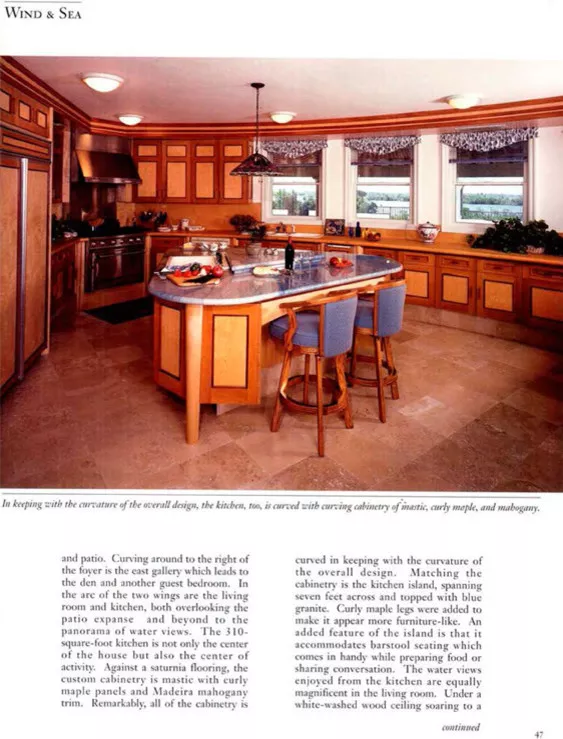 Madera Mahogany, Mastic, Almond, Dogwood, are just a few exotic local woods used mixed in with curly Marble and blue stained glass make up the doors, cabinets, shelving and floors. 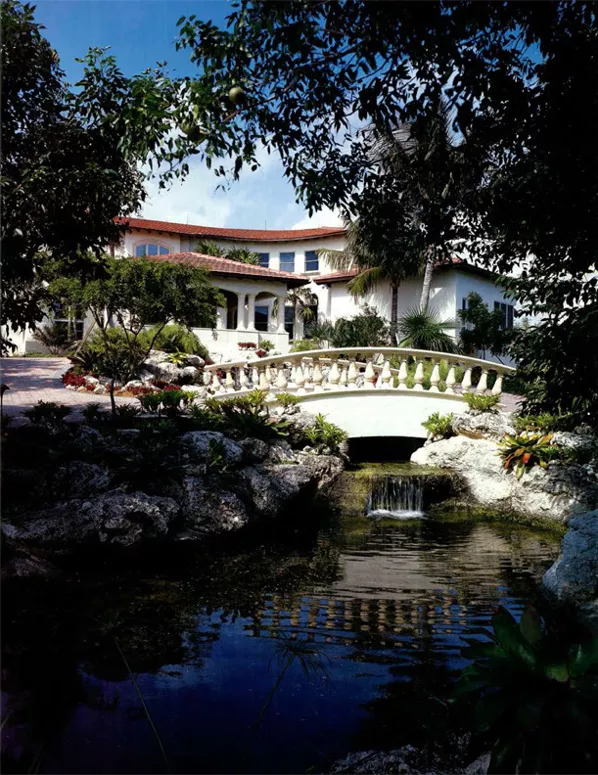 Flagler Reminiscent Stone Bridge over the cascading 5 level coy pond set this home up for an elegant but humble entry. 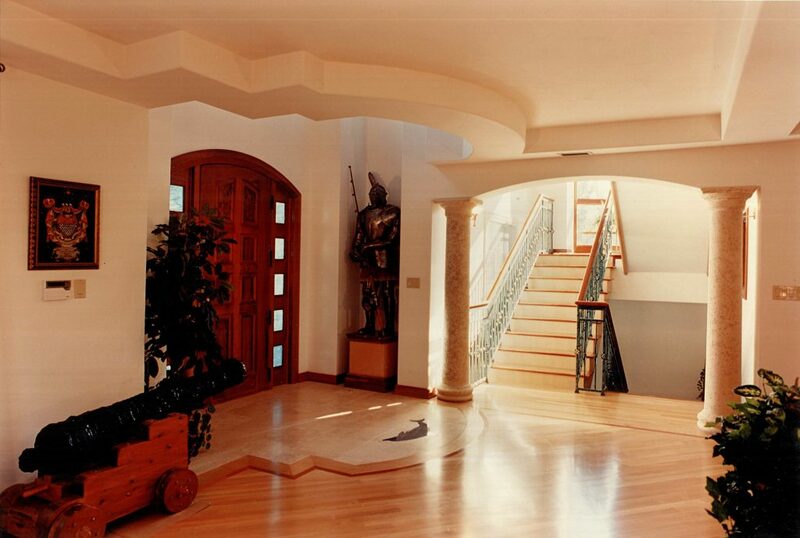 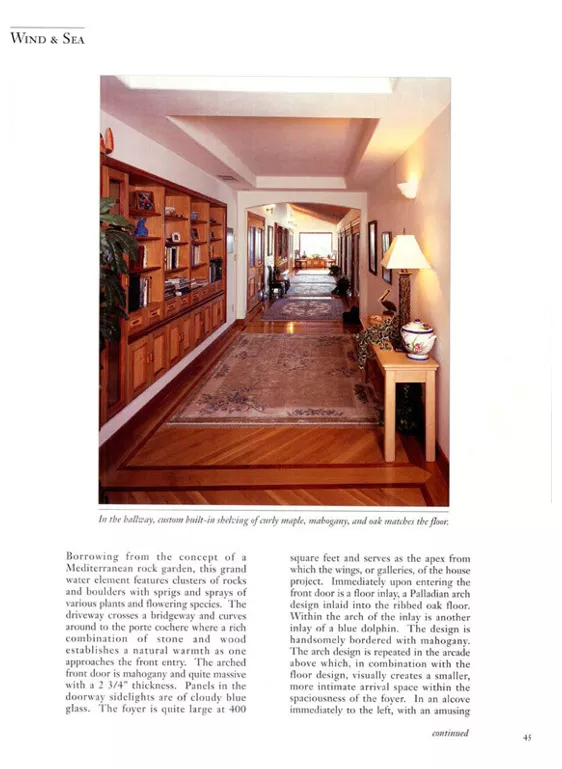 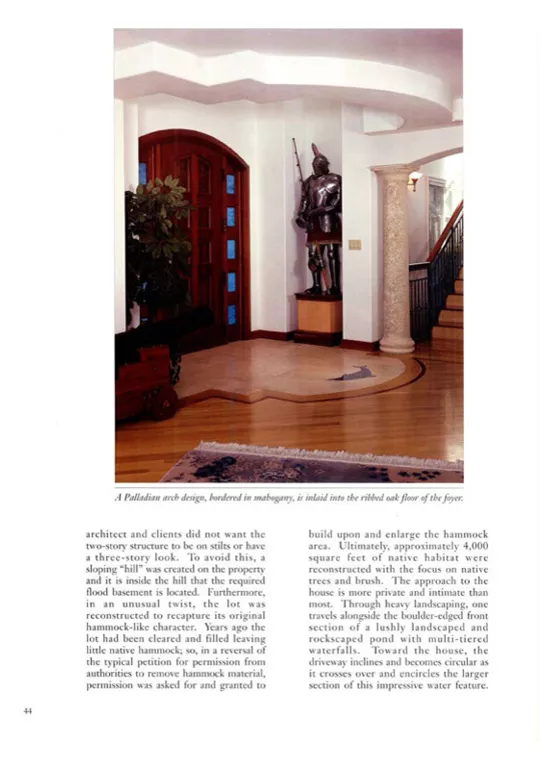 The formal entry foyer and grand hallway set up an elegance, infused with the comfortable curved foyer studio set the stage for a gracious living environment. 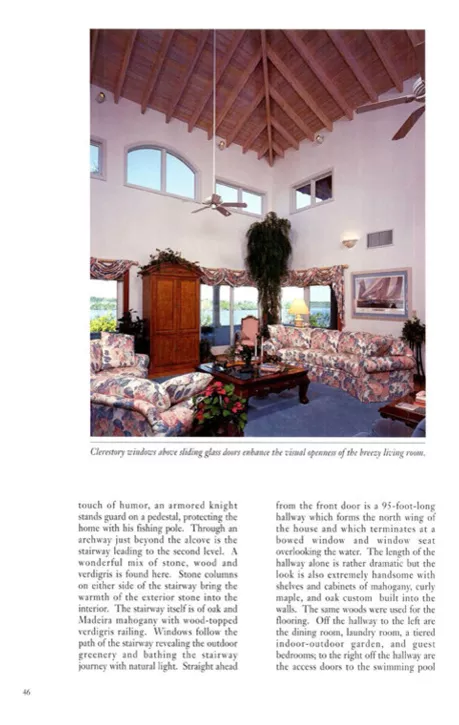 The terraced screened Orchid room transcending down into the enhanced native hardwood forest creates a butterfly arboretum so loved by the homes family. 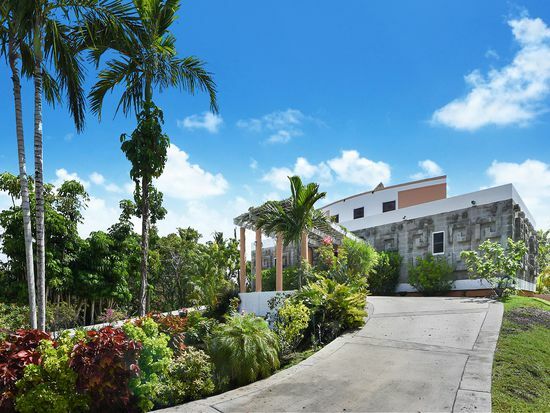 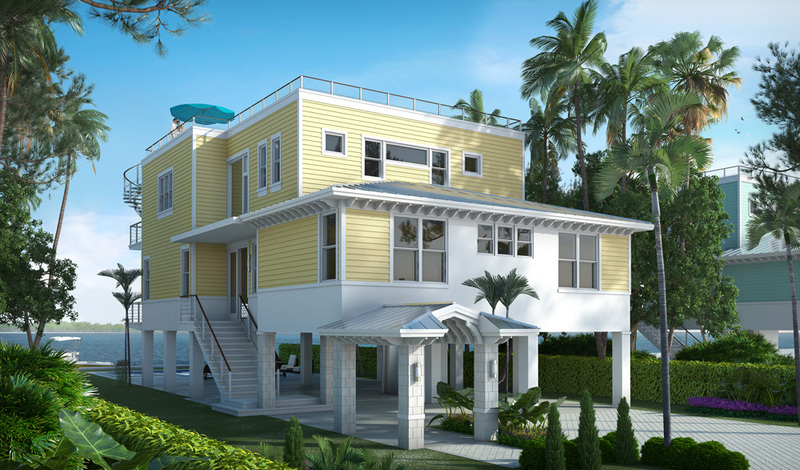 The large pie shaped swimming pool, patio and deck allows for sweeping views from the Atlantic to Angel Fish Creek. 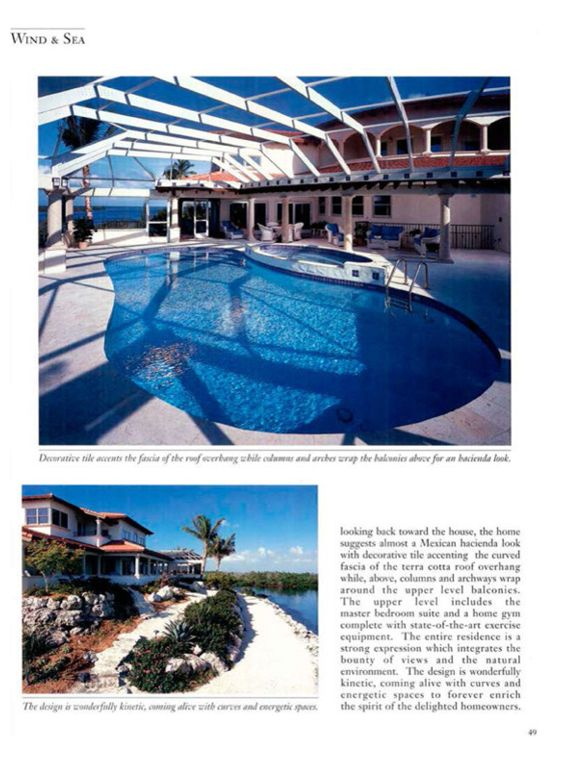 A touch of Tropical Tex Mex is expressed in the curved pool and patio tile work.